Love is in the air, can you feel it? Santana Row has you covered. 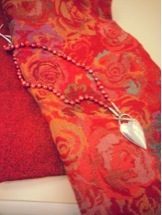 If you are going for a casual evening, pair this red rose scarf from Blue Illusion with a white top and blue jeans. Looking for the perfect dress? 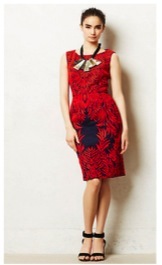 No problem, Anthropologie has plenty to choose from like this one! 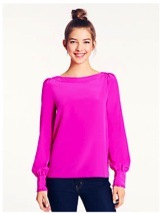 If red is not your color and you are more of a pink girl go with this blouse from kate spade new york.